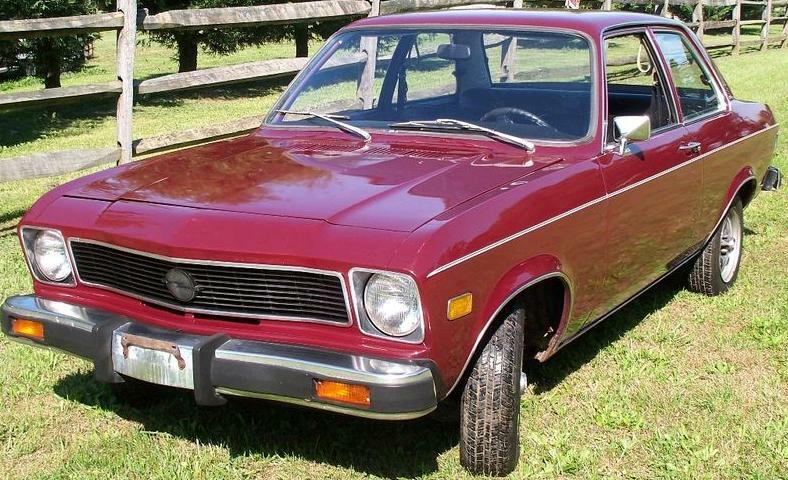 1974 Opel 1900 - This is not the most exciting Opel you'll ever see, but it's a nice survivor. Although the seller doesn't say, it sounds like this is a one owner car. It has 74,000 miles on it. The body is in nice condition, but the seller says the weatherstripping is shot. The interior looks good. There are covers on the seats and the front seat headrests are missing. The seller say it runs good, but "the carburetor (should be) rebuilt or adjusted". Wrong. It needs to be replaced. A Weber conversion is the only way of curing an Opel's carburetor problems. With its automatic transmission and lack of "fun" options, this is not a car you'd want to spend a lot of money on restoring. However, once you replace the carb, it could become a very cool "commuter classic". Located in Boonsboro, MD, click here to see the eBay listing. 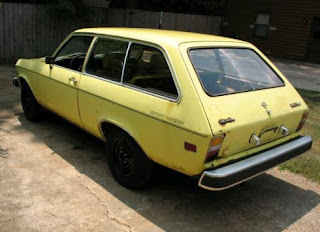 1975 Opel Ascona / 1900 Sportswagon - This one is a bit more of a project. This is a station wagon version of the 1900. This is a 1975 Opel, which means it originally came with a Bosch fuel injected 1900cc engine. 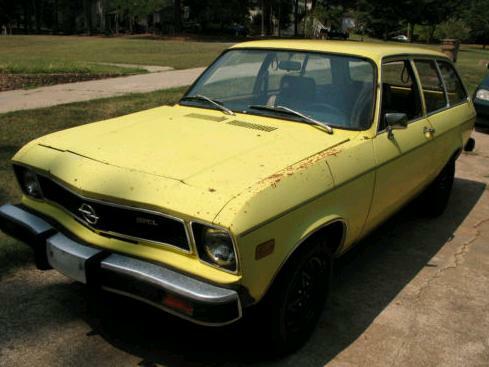 1975 was the last year for Opel in the US and the only year they came with fuel injection. (The performance of a FI Opel was very, very close to that of a BMW 2002. 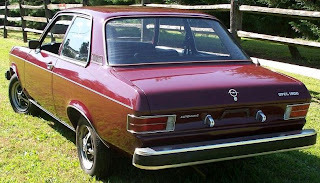 GM decided however that the American public didn't want small, performance oriented German sedans and discontinued the Opel line in North America. A few years later, after seeing BMW's sales grow to a point where they were too big to ignore, GM decided the answer was not an Opel, but the Cadillac Cimarron. It's a wonder GM stayed solvent as long as they did.) Unfortunately, this one lost its fuel injected engine at some point. It now has a carbureted (Weber, thankfully) 1900cc engine. The bad news is the transmission. It's an automatic. The good news is that it's shot. At this point, since the drivetrain is not original anyway, you might as well convert it to a manual transmission. The body looks solid, with just some surface rust. The pictures of the interior are dark, but it looks like it's complete. I always liked the looks of the 1900 wagon. With a bit of bodywork and paint, along with a pair of European bumpers, this would be a great summer cruisin' car. Located in Kennesaw, GA, click here to see the eBay listing. Looks like headrests are in the trunk? Probably need them with the power this car develops! 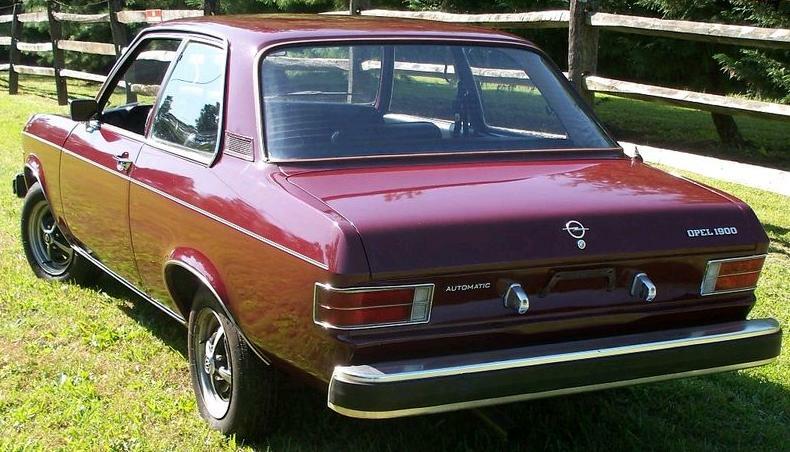 It wasn't so much that "GM decided however that the American public didn't want small, performance oriented German sedans", it was the rise in the value of the Deutschmark in the mid-'70s that made it impossible to bring these in and sell them at an economy car price.